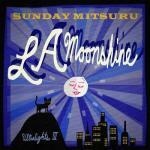 Producer/composer/percussionist Sunday Mitsuru's 2014 brand new album "LA Moonshine", on this album, Mitsuru's steps into smooth/mellow jazz were an expression of a single soulful artist with one sound performed by one artist. 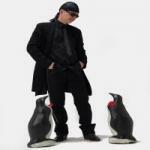 Groovy, jazzy, cool/mellow sound with funky drum beat, latin percussion groove, mellow rhodes licks, and tower of horns. As a special guest, legendary funk/soul guitarist David T. Walker featured on track 5 !